Experiencing the sounds of sandhill cranes is almost more distinctive and memorable to me than witnessing them visually. This Cornell Lab of Ornithology LINK of recordings both of individuals and flocks, as well as this private individual’s video recording, will introduce you to this unique sound if you are not familiar with it. I fondly remember the time and place that I first heard this call. It was a summer evening near dusk while standing in a Wisconsin marsh. The sandhill crane call is prehistoric-sounding to me, which is fitting since this species has been around for 10 million years. Kansans are lucky to be able to experience migration of the sandhill crane in spring and fall every year. 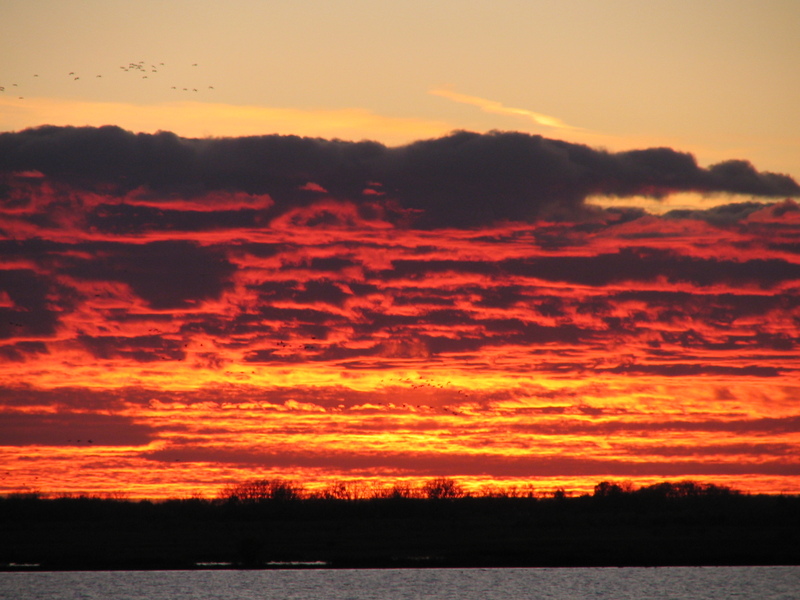 We have large marshes in Kansas that offer food, shelter, and a place to rest during their long spring and fall journeys. While Kansans are not the only Great Plains residents with a front row seat to the bird migration route known as the Central Flyway, we are certainly among the fortunate to so easily be able to witness this migration spectacle. 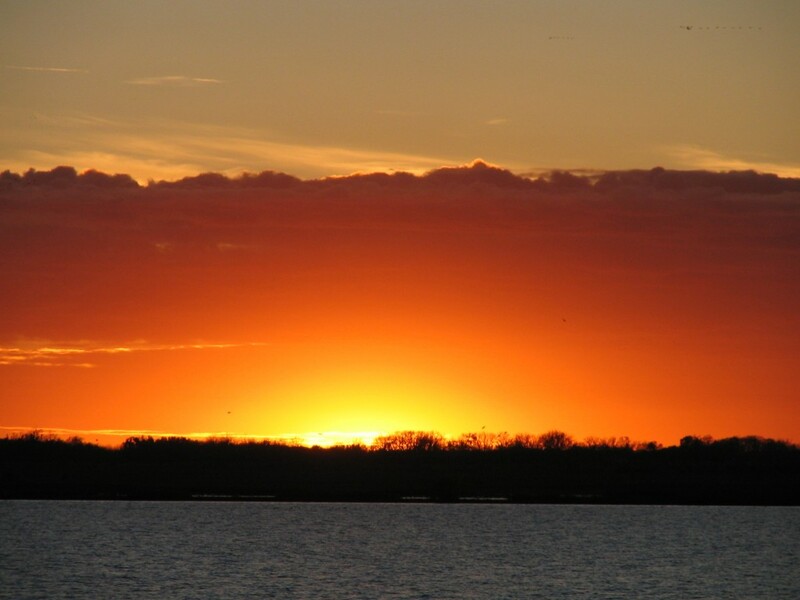 I am really looking forward to an upcoming trip that Dyck Arboretum will be hosting in early November to nearby Quivira National Wildlife Refuge. We will likely observe sandhill cranes by the hundreds and many different species of geese, ducks, plovers, and other waterfowl by the thousands. If we are lucky enough, we will even be able to spot the federally endangered whooping crane, of which fewer than 300 individuals exist today. 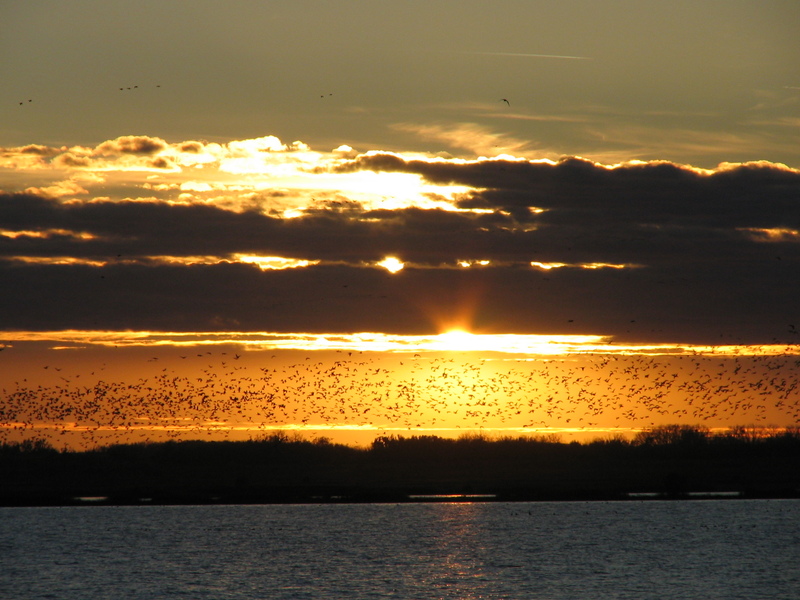 After watching this display of birds coming in to roost at Big Salt Marsh in front of a sunset, we’ll enjoy a hearty soup by twilight and then look skyward to see what constellations are visible without the hassle of light pollution. One of my favorite writers, conservationist Aldo Leopold, marveled at and wrote stories about the fascinating observations he made while enjoying nature. I look forward to soon re-reading his famous book, A Sand County Almanac, which is one of the most influential nature books ever written. Through the Dyck Arboretum’s year-long 35th anniversary celebration, we will be publicizing Leopold’s “land ethic” principles, which are so congruent with our own mission and ideals of prairie conservation. 1. Plant anything and everything. Trees, shrubs, and perennials benefit from warm soils and beneficial autumn rainfall. Plants properly established will have a head start next spring. Perennials should be planted well before the end of October. Install spring blooming bulbs, tree and shrubs before the ground freezes. 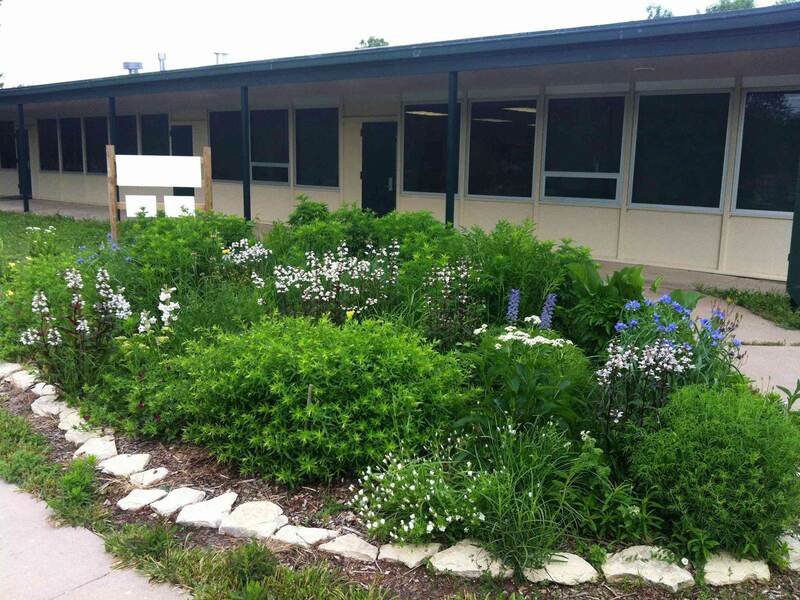 Analyze each area in your yard to determine how plants performed through the year and what will enhance the landscape. A quick check now will guide your efforts next spring. Remove leaves from display beds so that plants don’t get smothered. Collected leaves can be composted, which makes excellent plant food and humus. Analysis shows that, when composted, leaves from most trees can contain up to twice as many minerals as aged manure. It is vital that perennials, trees and shrubs are adequately watered throughout the fall. Newly installed plants don’t have a fully established root system and would benefit from periodic watering. If the top 1-2 inches of soil is dry, the plants need water. Evergreen trees continue to need moisture in winter, so irrigate thoroughly if needed before the ground freezes. 1. Do not remove seed heads and stalks. 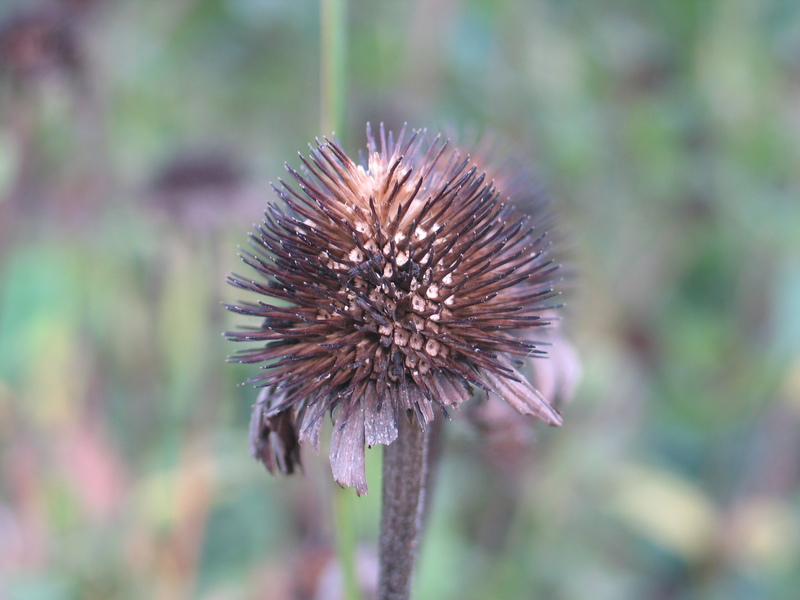 In certain gardens, we deadhead spent blooms on plants such as gray-headed coneflower to prevent seeding. Other seedheads are left through the winter as food sources for birds. We leave ornamental grasses through the winter. They provide texture and movement in the winter landscape. These beds will be cleaned up in the spring. Seedheads to leave through the winter include black-eyed Susans, sunflowers, coneflowers, grasses, and trees and shrubs with berries. 2. Do not remove habitat. Logs, leaf piles, brush piles and perennials such as grasses are havens for insects that overwinter in the garden. These beneficial insects will be drawn to your yard if you provide even just a few of these elements in the landscape. 3. Do not prune trees and shrubs. Keep in mind that fall is NOT the best time to prune trees and shrubs. It encourages new growth that will not get hardened off before winter, making it susceptible to damage. Prune trees in the winter after they have gone dormant. Shrubs can be pruned in the winter as well, but only if they bloom on new growth. Pruning spring blooming shrubs in the winter will remove next year’s blooms. Prune these after they have finished blooming in the spring. 4. Don’t let leaves smother your lawn. 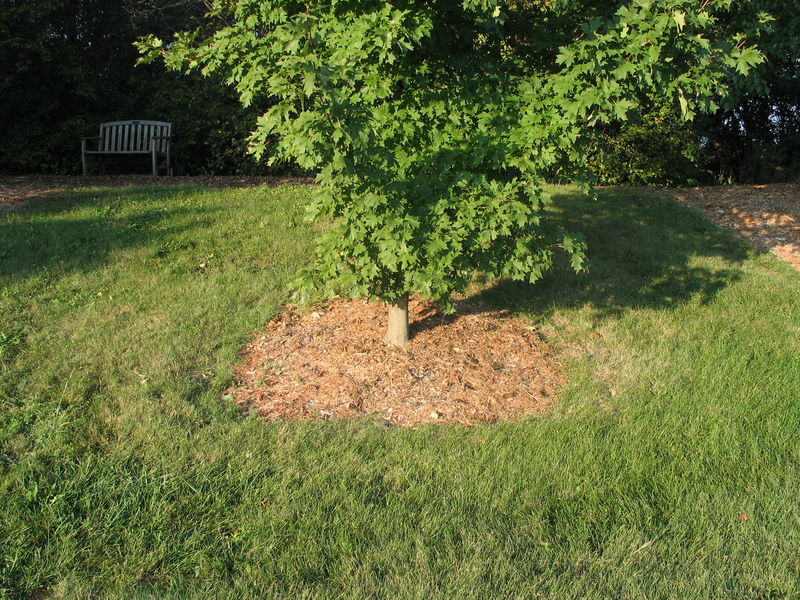 Too many leaves will shade lawns and choke out grass. Either rake and collect them or shred them if they are not too thick. 5. Do not leave out weather-vulnerable pots. Clay pots are an investment that can be lost with the first freeze. If the soil inside the pot freezes, it will expand, causing it to crack. It is best to remove the soil and put the pot in the garage or tip upside down. There may be ways to” winter proof” these pots with soil in them, but I don’t like to take the chance. 6. Don’t let weeds go to seed. This seems obvious, but those weeds have a way of hiding. Look thoroughly at your landscape. A little work now with weed removal will pay dividends next year. Don’t stay indoors this fall. Do have fun being outdoors in your landscape! Yes, the weather is getting colder. I love to go to work wearing a sweatshirt and then enjoy a warm late afternoon walk in my shorts and t-shirt. The sunlight is warm and bright, but there’s always a breeze to balance out the heat. It is usually not too hot or too cold, which is perfect in my opinion. On the gardening front, fall’s cooler weather signals a reprieve from watering and the slowing of maintenance regimens. This time of year allows me to step back and enjoy the fruits of our labor throughout the year. I can spend quality time outside taking in the beauty and bounty of the landscape. It is always good to reflect and appreciate all your energy and effort given during the year. Otherwise, would it really be worth it? Native grasses are at their best right now. They are in full plumage. They are changing color from green to bold reds, yellows, and oranges. They have reached their full height and are spectacular. If you combine these grasses with just a few fall blooming wildflowers like asters, goldenrods, sunflowers, blazing stars and blue sage, you have the makings for an incredible natural habitat. I love the way our prairie garden goes a little wild this time of year, still teaming with all sorts of pollinators. Nothing signals the switching seasons like the trees. 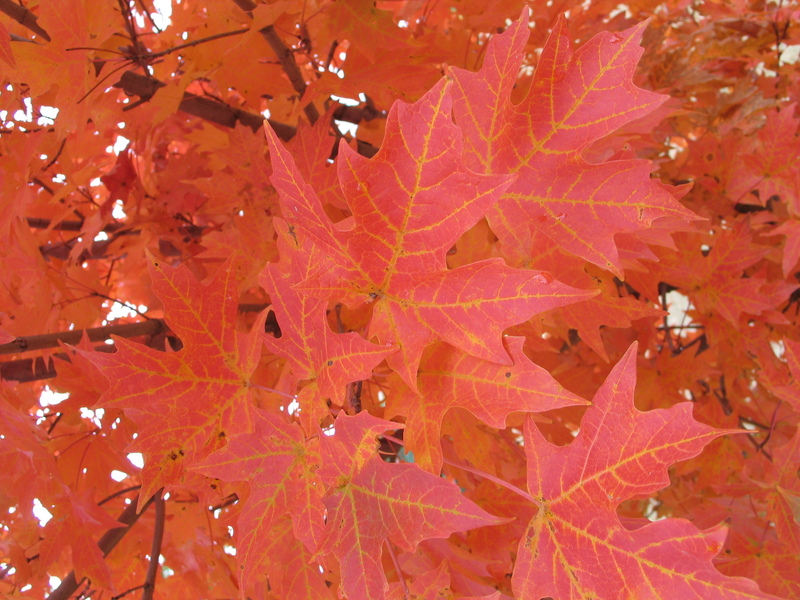 Sure, it is not like New England, but we can have some amazing fall color on our trees. Have you noticed that one tree in your neighborhood that explodes into color each year? Since those trees are so rare in this part of the world, we should appreciate them even more. The evening sky has been incredible lately. Vibrant reds, blues, and purples highlight the sky. WOW! Sunrises have been equally spectacular. So, step outside in the evening or take a morning walk and revel in the beautiful sky. 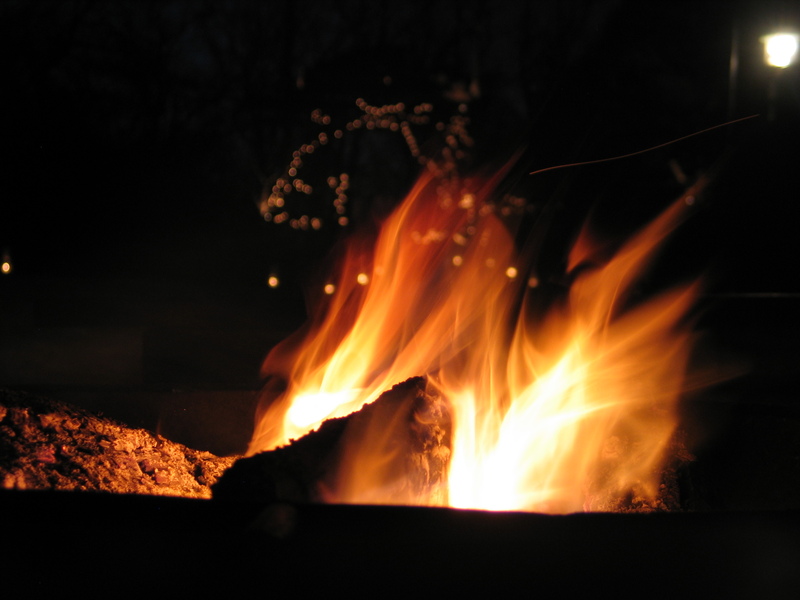 A warm bonfire while you’re roasting a marshmallow to make a s’more. That first autumn rain after warm, dry weather called petrichor . The smell of a cool crisp morning. Pumpkin Pie cooking in the oven. Anything pumpkin, for that matter. A warm pot of soup, a freshly mown yard, the rich earth as you turn your garden. The smell of old leaves on the ground, a freshly brewed cup of coffee, homemade bread cooling on the kitchen counter. You get the point. Autumn is a great season of the year. Take some time to appreciate the beauty of fall. Enjoy moments with family and friends. Take in the sights, the sounds, the smells, the feel, and the tastes of autumn, because winter is coming all too fast. 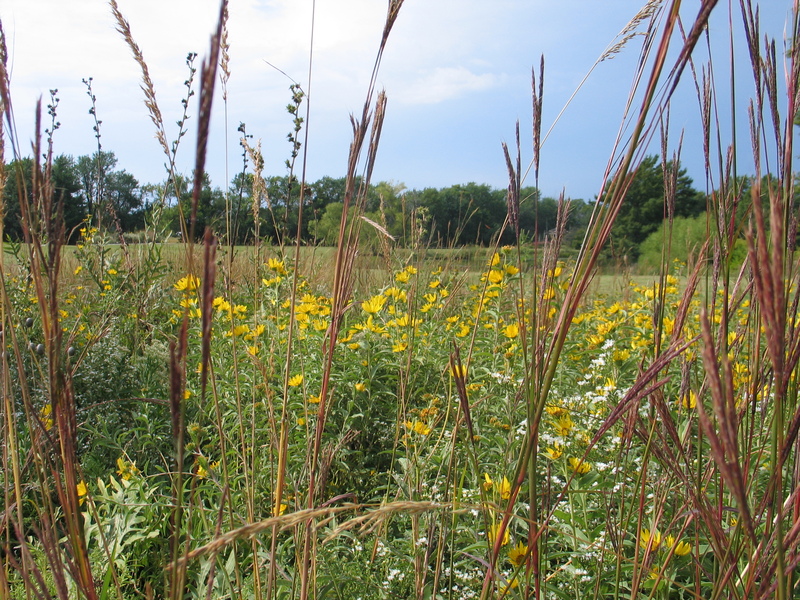 Have You Ever Wondered What The Tallgrass Prairie Was Really Like? In late September, I was at the Tallgrass Prairie National Preserve near Strong City, KS. It was a great experience. The Flint Hills were in bloom with wildflowers and the grasses were adorned in their autumn glory. I walked to the top of the bluff on the Southwind Nature Trail and looked to the west. It is a magnificent sight to behold. 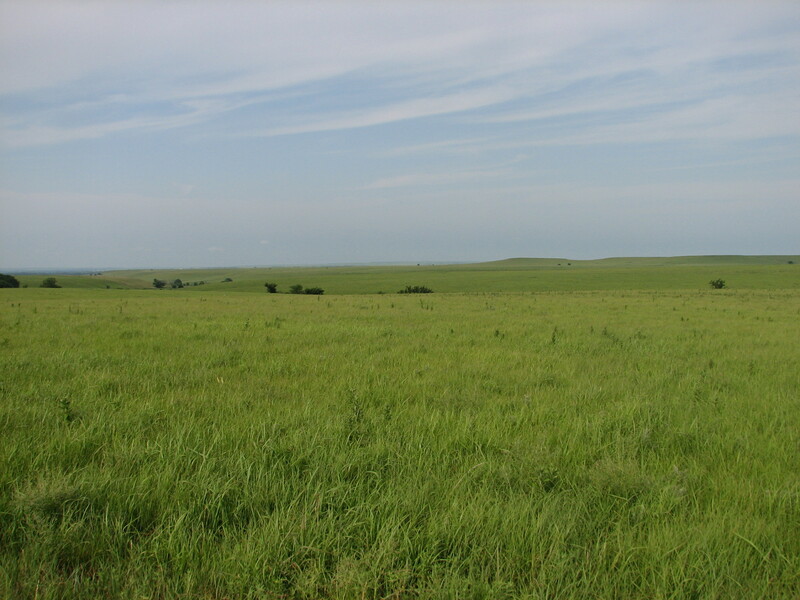 The rolling hills covered with amber grasses were stunning. I stood there for quite a while taking in the sights and sounds of the tallgrass prairie. It made me think about the prairie and imagine what it must have been like in the early 1800s – to look at this “sea of grass” moving and waving in the wind stretching as far as the eyes could see. The Flint Hills offer us just a glimpse of what The Great Plains used to be. They show us how much we have lost. 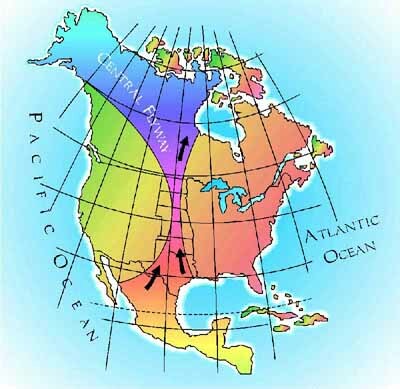 “…we walked on over a Ridge came to high large prairies and hills. We walked on found some cherries near a handsome Spring River and named cherry Run at which we drank at the forks then followed it or one branch to the head which came out of a ridge which joins the prairies, and went up on a high Ridge of prairie where we could See all around for a long distance in the open prairies or as far as our eyes could behold, and on the opposite Side of the Missouris we saw a large and extensive prairie which looked very handsome,…” The Journals Sergeant John Ordway Kept on the Journey of the Corps of Discovery, July 15, 1804. I would encourage you to visit the Tallgrass Prairie National Preserve. Sure, it is not the Grand Canyon or Yellowstone, but it is unique to our part of the world. It highlights an ecosystem that is nearly gone, but worth saving. It made me more aware of how quickly something can be lost. I can still hear the birds, feel the wind on my face and picture the hills of grass spreading into the distance as I stood on that overlook. 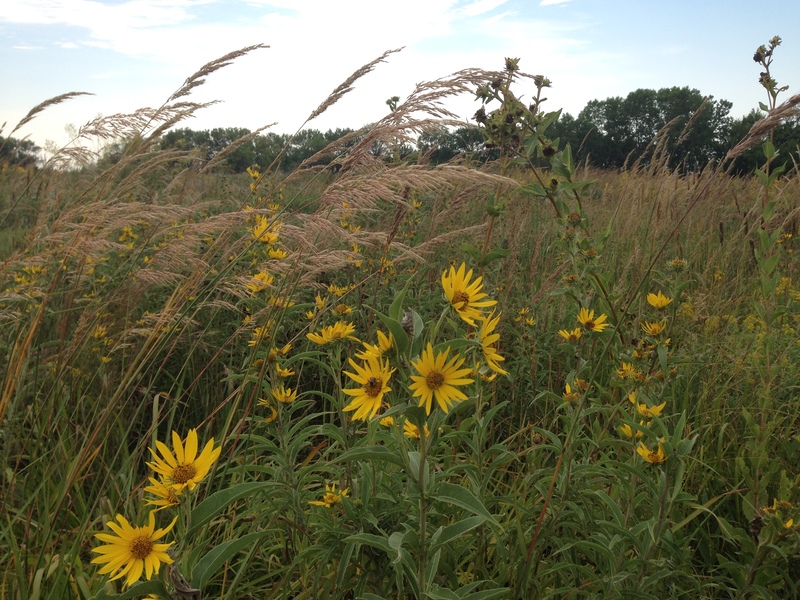 It was a snapshot of the prairie that will stay with me forever.